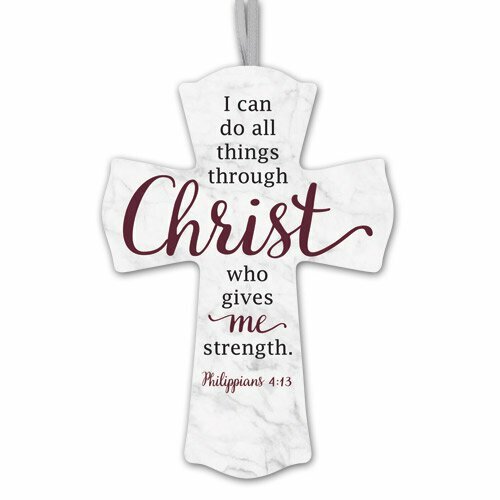 This wood cross is the perfect way to stay encouraged throughout the day. Includes a ribbon hanger and the bold verse "I can do all things through Christ who gives me strength." Philippians 4:13. Value priced for gifts and give-aways during any time of the year.